Once you have everything ready, assembled a group and have your dice and sheets prepared, now you get to run a campaign. 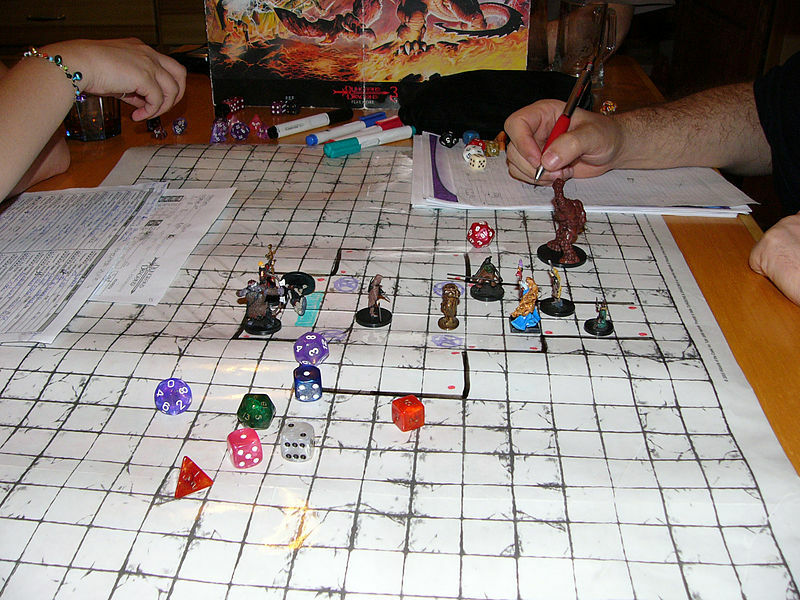 As a Dungeon Master (DM), your job is to make an adventure that will immerse your players into the world you’re telling. This might be a bit daunting of a task, as the DM you need to remember how the rules interact with each other and keep track of where enemies are and what drives them. For a lot of new players, this is a big hurdle to overcome. But the job of a DM isn’t nearly as difficult as new players might think. Running a campaign also doesn’t need to be long, complex narratives that run through several cities and reveal mysteries and schemes by a nefarious shadowy council, again, unless you want it to be. You can start as small as you feel comfortable with, or as big and complex as you want. For those DMs who aren’t as comfortable writing their own adventures or settings, you can start with a pre-made campaign. These adventures can be found online or purchased at a local game or hobby shop. These options let you run a campaign that has already been fleshed out without needing to design your own complex narratives.